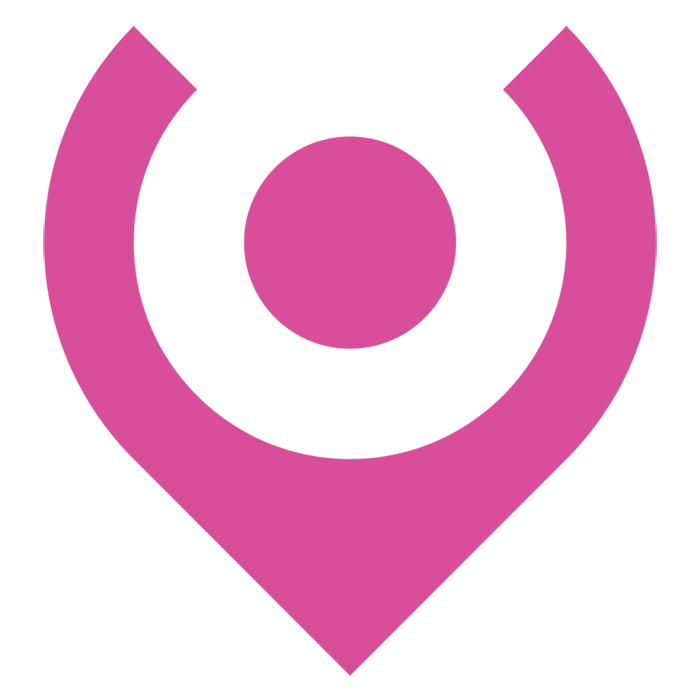 Real-time data enables smarter scheduling so you can fill bookings with greater speed and less hassle. Calling candidates one-by-one when you have an open booking to check whether they’re available, only to find out that they’re not, is a waste of time and effort. 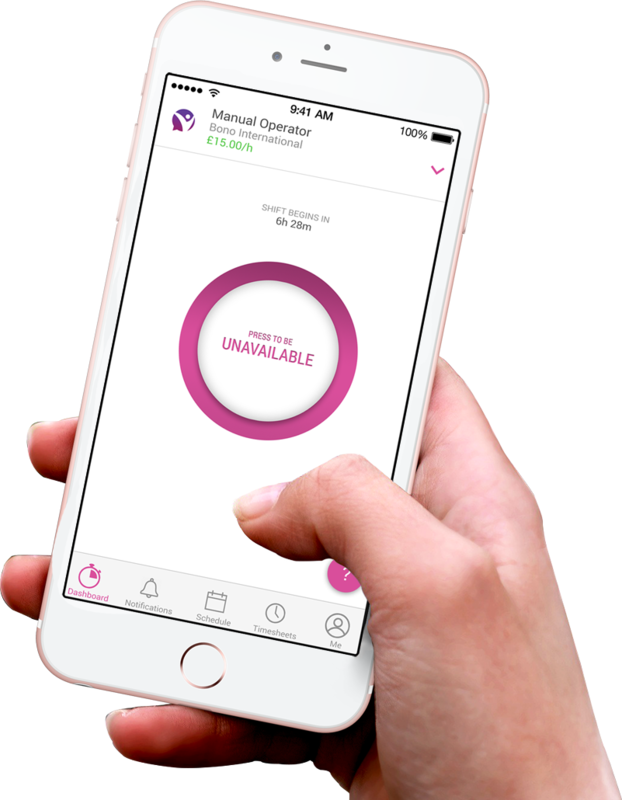 TempBuddy is the only platform that automates live availability through an app, helping you find more people work when and where they want. Place more of your good candidates more often. It’s easy to alert your clients that their top-rated temporaries are available for work, generating worker loyalty and repeat business. Available workers at a glance. Check who’s available, with the right skills, in the right location in less than a minute. Offer them the assignment with the push of a button. Your availability whiteboards are history and your candidate attraction spend decreases. In skills-short industries, what counts is knowing who is ready for work ahead of the competition. 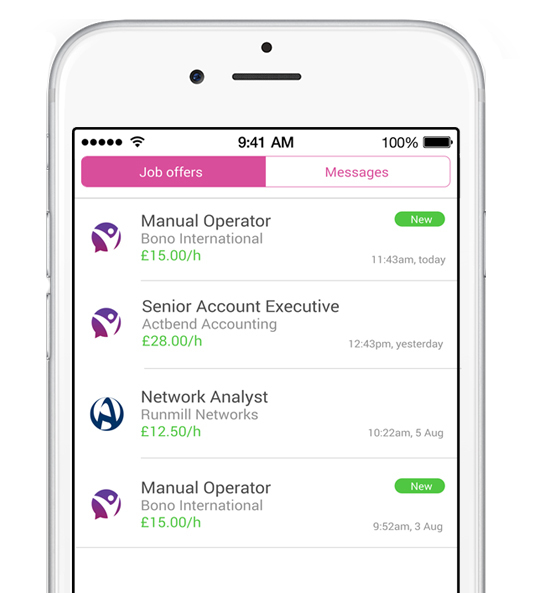 With real-time availability notifications through the TempBuddy app, your passive candidate database is converted to an on-demand workforce. 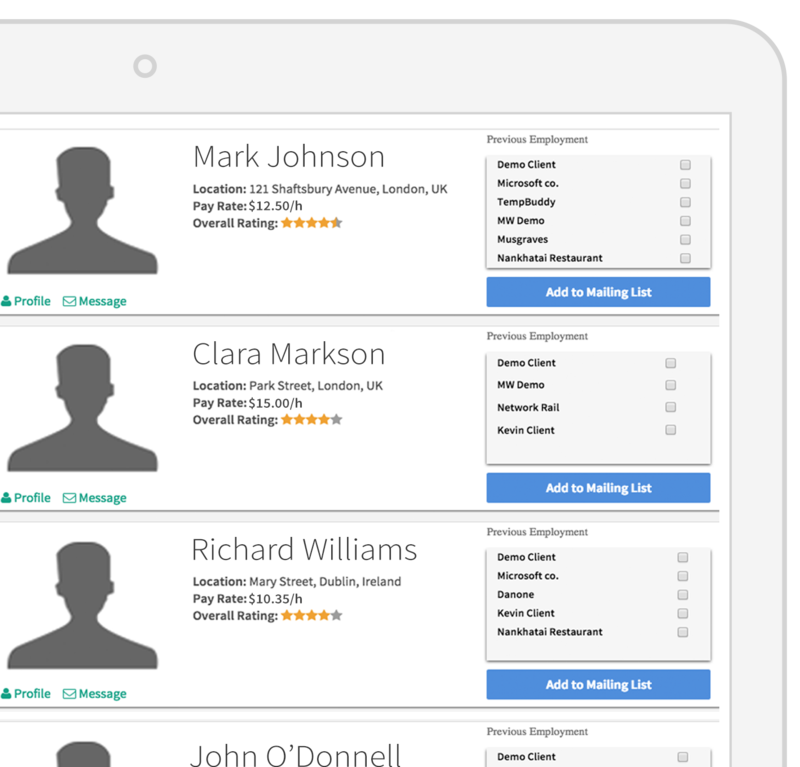 Fill times decrease dramatically with temporary staffing software, and any no-shows become much easier to replace. Make temporary work easier for all.